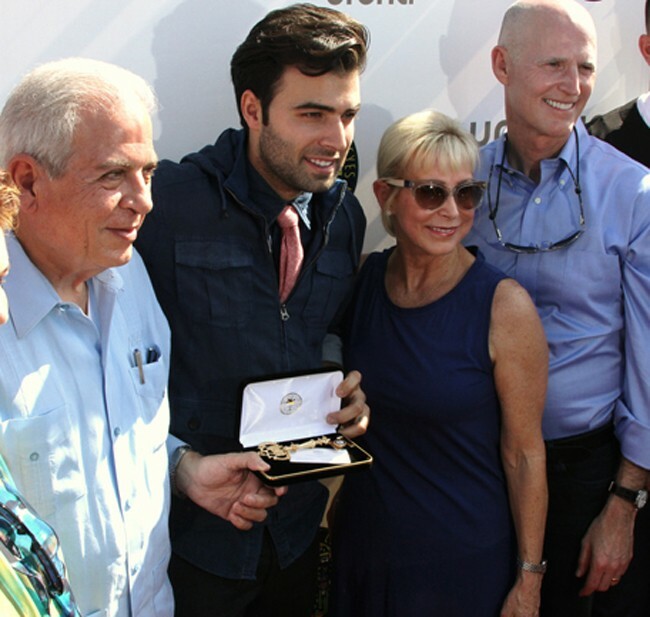 Jencarlos Canela has received the keys to the city for his influential artistic career and has been named "The Face of Miami." The singer and actor was presented with the award by the Mayor of Miami, Tomas Realado, Florida's Governo Rick Scott, Claudia Puig and the President of Programming at Univision, Albero Ciurana. The famed Latino later took to Twitter saying: "Just recieved the key to my City MIA!! What an honor!" Jencarlos Canela is known for his many hit songs like "I Love It," "Amor Quédate," "Mi Corazón Insiste," "Dime," "Búscame," and many others. He received this recognition thanks to his many professional achievements as well as his philanthropic work. In Miami Mayor Tomas Regalado's own words, Canela is "the face of Miami." Born and raised in Miami itself, Canela is one of the city's best known exports, being named in Forbes' list of 30 Under 30 Most Influential Young Celebrities. Jencarlos Canela was born to Cuban parents in Miami. He is best known worldwide for his roles in internationally renowned telenovelas: as Ángel Salvador in "Mas Sabe el Diablo," and "Mi Corazon Insite" and "Pasion Prohibida." In 2010, he appeared the film version of "Mas Sabe El Diablo" with Gaby Espino and Miguel Varoni. Canela is in a relationship with Venezuelan actress and model Gaby Espino -- they are expecting their first child.